We recently had Years 12 and 13 students of the College, engaged in a community project. We can sometimes underestimate the importance of simply doing ‘something’ to help our local community. Alan Bailey, Head of Computing, was delighted to receive a letter from Chiltern Rangers indicating their thanks for the work undertaken by our students. A job well done, and sincere thanks to Cheryl Saunders for organising and overseeing a range of similar projects in a busy week. During Community Project Week we undertook two trips with Chiltern Rangers to help with conservation work in the local community. Our first visit was to Bicester MOD where our Year 12 & 13 students helped to cut down trees and shrubs, and set bonfires so areas could be cleared for vegetation to encourage birds such as Nightingales and Warblers, and butterflies such as Dingy Skippers and Hairstreaks. Our students had a great time and asked when they were able to come back again. 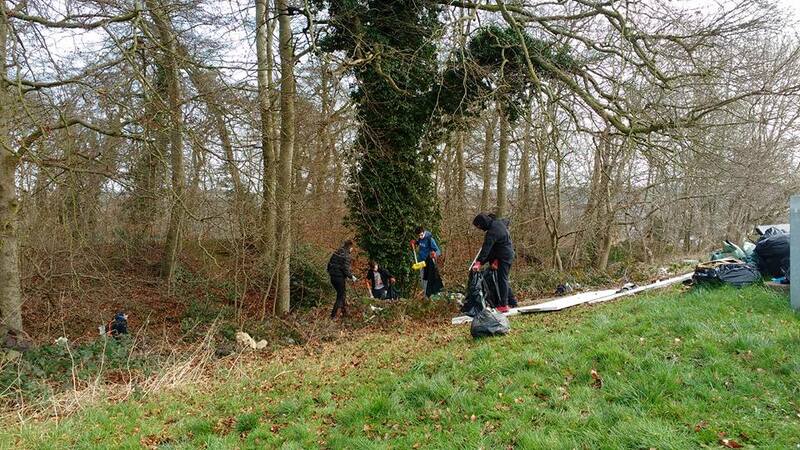 Our second trip out was to Desborough Castle in High Wycombe where our Year 10 students undertook a day of litter picking on the site of Iron Age Hill fort that unfortunately was absolutely full with litter and flytipped materials. There were many interesting finds throughout the day including car tyres and a swing set. By the end of the day the castle was clear and there was a mound of rubbish taller than some of our students and they were able to see the positive impact of their work on this area. Both trips were a great success and showed each of our students how taking a small amount of time out of their regular routine, can have such a large positive impact on nature and communities, and reinforced the ethos of many of our employer partners and their desired industries; that a portion of time should be given to volunteering and community work.